We undertake measured building and architectural surveys for a variety of purposes including; re-development and design, asset management, incident planning and Rights of Light. The first step of most processes is to accurately define and record the as-built environment. With the advent and adoption of BIM the importance of accurate as-builts becomes crucial both to validate the original design on handover and as a base point for future designers and asset managers. 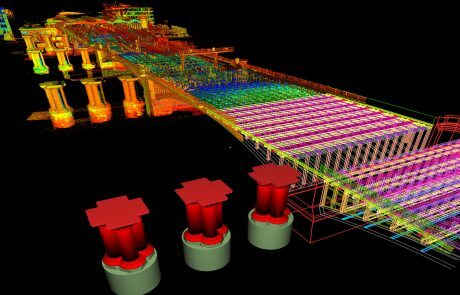 As-builts are a vital step in the BIM continuum, so a precise as-built survey is essential. 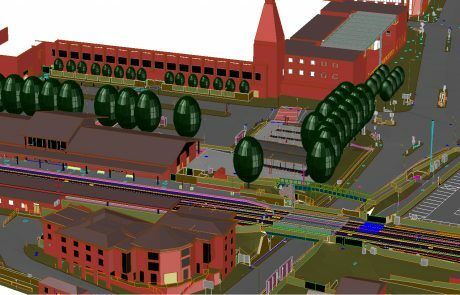 Surveying is the foundation of all BIM information and it is important that it is exact. 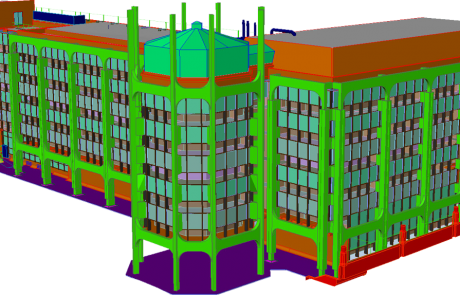 Our deliverables range from traditional floor plans, elevations and 3D CAD models to fully compliant BIM Models. Fully coordinated 3D floor to ceiling plans can be used for refurbishment, remodelling and extension works. The levels of detail can vary depending on intended use. For instance, simpler floor plans can be used for Asset and Facilities Management or Fire and Disaster planning, whilst more accurate plans would be appropriate for interior design and fit out. Elevation drawings may be a prerequisite to any change or development of buildings. Visual impact assessment or asset management may be satisfied with a simple scaled photo-montage or ortho photo, whereas a serious design will require a properly measured elevation. 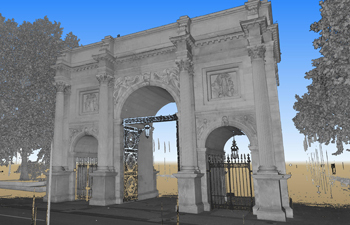 Detailed, ornate or listed elevation drawings can be produced from point cloud data generated from our 3D scanners. The purpose and requirements of the survey, together with the age and complexity of the building or façade, will determine the appropriate method of survey. The majority of our building elevation surveys are carried out using total stations or 3D laser scanners. Most survey data is delivered in AutoCAD or Microstation but we can deliver in an alternative package or format to suit. 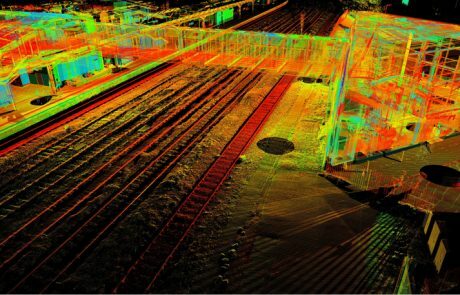 Point cloud data can be supplied in a variety of formats and we can provide rapid site visualisation to our clients by processing and supplying Truview files for use on an internet browser. At ABA Surveying we always work closely with our clients, from the initial meeting, through planning, execution, delivery and post-delivery. By talking and communicating with our clients we are able to advise on and supply a deliverable that meets their demands and any current relevant regulations or specifications. We pride ourselves on collecting survey data which will fulfil the needs of multiple disciplines and offer a degree of future proofing by ensuring compatibility with possible future requirements. Our experienced surveyors and staff know what features the customer will need for their survey. We are specialists within our sector and are often asked by industry to advise on standards and regulations. We are adept at working in challenging environments but safety is always paramount. Our surveyors hold CSCS and Sentinel cards and are also Confined Spaces trained and certified.